A couple weekends ago I went to a This Is Oakland event that showcased local artisans and shops from the city. It was a very cool way to highlight local talent. After the event we had some delish Cambodian food for lunch, which is where I ate yummy fried banana and coconut ice cream. It was a true cheat day. Will be wearing a lot of Zara this coming month. I went and had a "cheat" day on their website too. Pretty much bought it all! Summer whites, y'all! Adorable, love this camel coat and Zara had me so many times this month smh...shame. If you get the chance, please share your amazing post on my link-up today. Gorgeous coat. It's perfect with the hat. I really have a thing for stripes and I love your striped top. Such a cute casual look. Mmm I loved Cambodia food while I was there and now want fried bananas and coconut ice cream! Perhaps you two should visit there if you are in this area again! 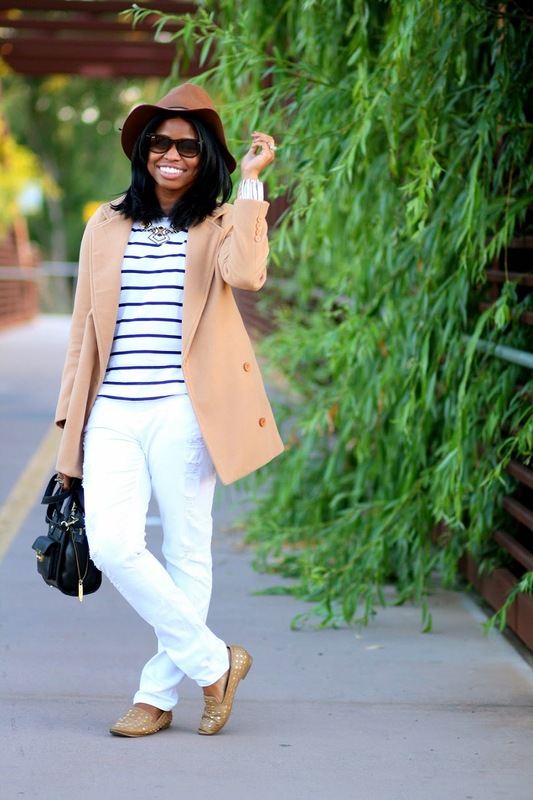 I love white pants, and the crisp navy stripes are the perfect pairing. 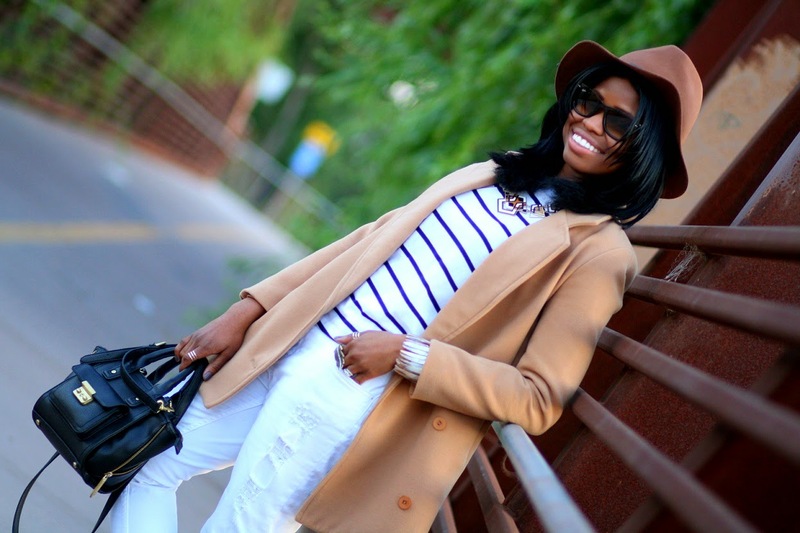 This is such a fun easy chic look. I'm all for wearing more Zara this summer. They've been killing it with their styles lately. I can't believe you are still able to wear a coat! That being said, I love the look! fabulous! love this on you babe! Love the whole look! So cute in that hat! I also love all of the white and stripes. Looking Good! 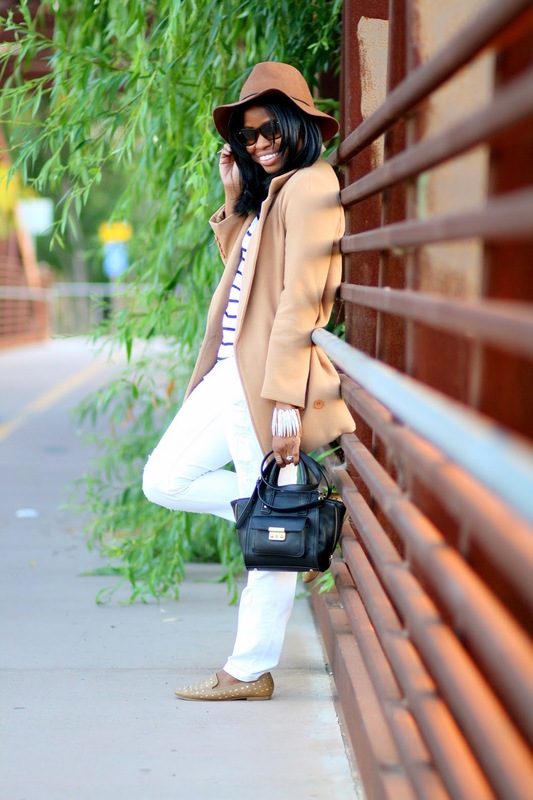 This is a simple and chic look...love the coat and shoes! 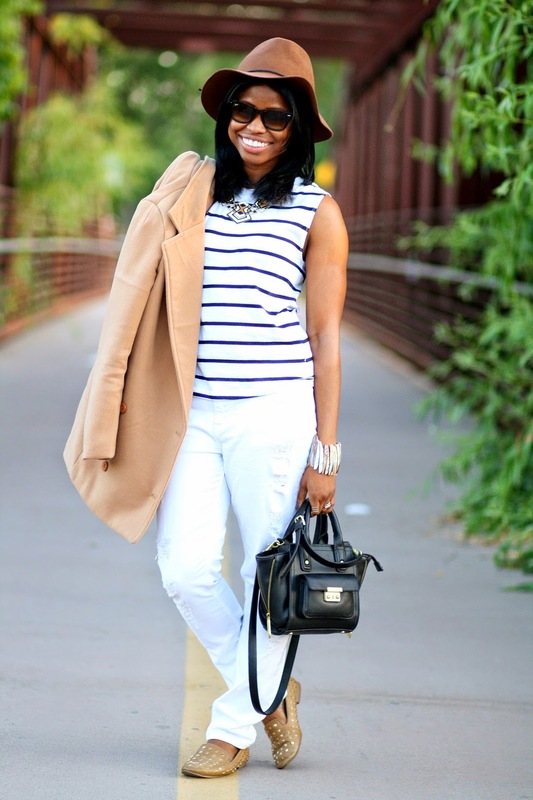 You're a total babe- love these simple stripes! Love these photos, you look lovely. I love the jacket and hat you chose with the outfit!